Earlier this week, the crypto markets experienced a bloodbath that was the direct result of Bitcoin failing to hold above its support level that existed around $3,550. Bitcoin’s ensuing drop led most cryptocurrencies to plunge 10% or more, from which many of them have since recovered. Ripple (XRP) is currently leading the markets, but most other cryptos have also seen decent gains today. Today’s upwards price surge may signal that the markets are going to start a fresh upwards trend following their recent drop. At the time of writing, Ripple is trading up over 11% at its current price of $0.323. 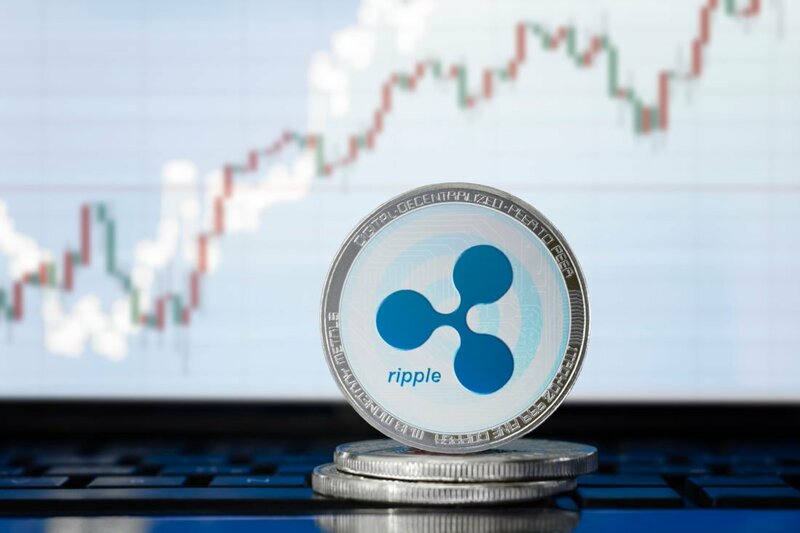 Earlier this week, XRP dropped to lows of $0.28, which proved to be a region of significant buying pressure for the cryptocurrency, as it quickly surged after trading sideways around this price point. Mati Greenspan, the senior market analyst at eToro, said in a recent tweet that XRP led today’s crypto market surge, as its price moved about five minutes before other cryptos began climbing. “Indeed, it does appear that $XRP is leading the current rally… Check the green line in this chart, started to surge about 5 minutes before the rest of the pack,” he said. Other popular cryptocurrency analysts on Twitter also discussed XRP’s price surge, with Hsaka noting that 18 days of losses were reversed in a mere hour. “$XRP… 18 days of a slow grind down completely undone in one hour,” he said. Historically, XRP has made massive price swings, both upwards and downwards, and is viewed by some analysts as a predictor for how the rest of the markets are going to move. If this is the case currently, other cryptocurrencies could also see a significant price surge in the coming hours or days. Although XRP’s double digits gains remain unmatched, most other major cryptocurrencies are seeing decent gains today. Most cryptocurrencies have posted a decent recovery following the recent volatility in the markets. At the time of writing, Ethereum is trading up nearly 3% at its current price of $109. Yesterday, analysts had noted that ETH was reaching a point at which it would either break upwards or downwards, and today’s move could spark a more positive price trend for the cryptocurrency in the near-term. “$ETH at that sweet spot where you could justify a long or short entry… though typically a consolidation pattern like this results in continuation,” The Crypto Dog, a popular cryptocurrency trader on Twitter, said prior to today’s price climb. $ETH at that sweet spot where you could justify a long or short entry. Bitcoin Cash (BCH) is also having a good day, as it is trading up over 6% at its current price of $118.60. BCH is up from its weekly lows of $109 that were set earlier this week. Although BCH is recovering from its latest drop, it is still down from its seven-day highs of over $130. Is the Rally Genuine or Are We Falling Below Support?